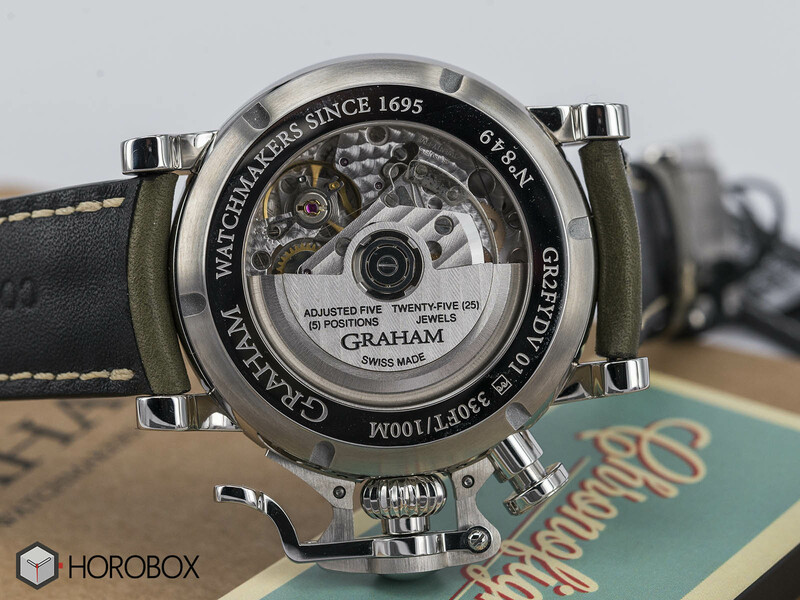 Graham, whom we had the opportunity to visit during Baselworld 2017, was highly acclaimed by the watch enthusiasts with their novelties and wide range of products. 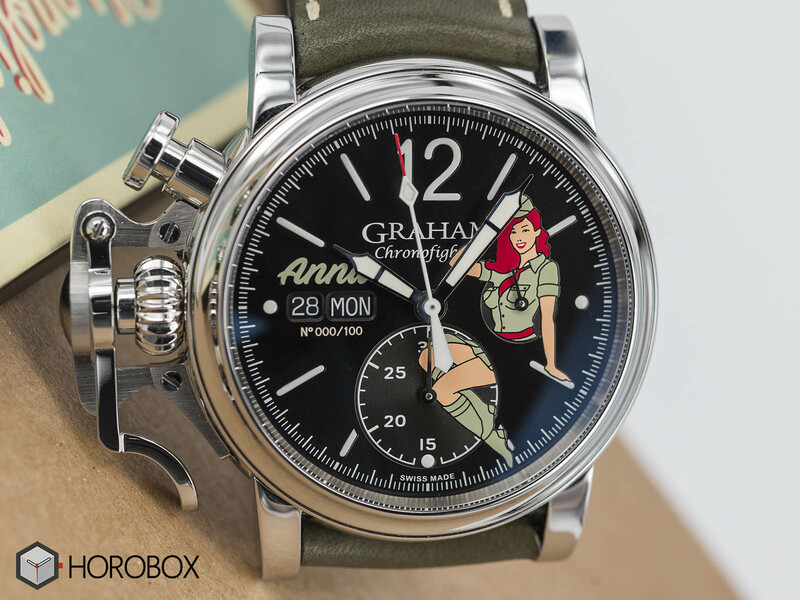 The Chronofighter Vintage Nose Art Ltd Collection, which hosted four different versions with Nose Art illustrations on the dials, was simply our favorite. In general Graham has always been a brand that I have been a bit distant to. 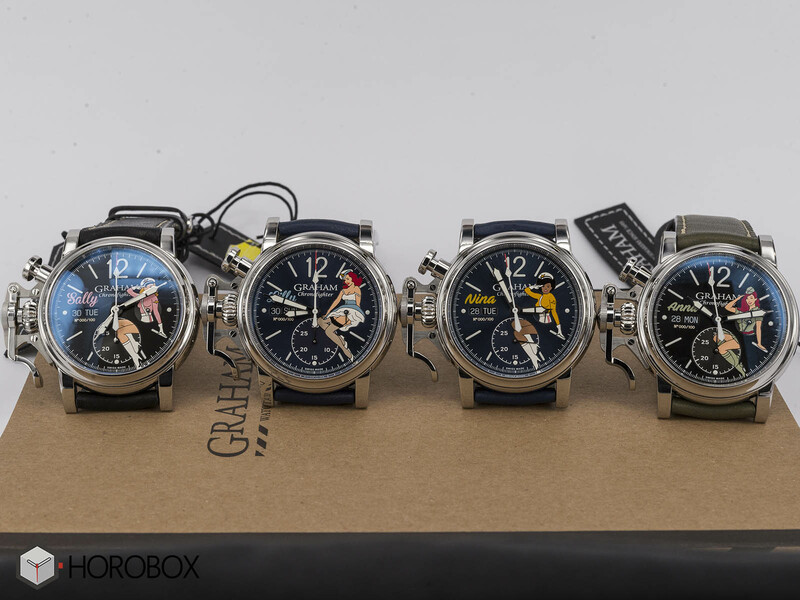 There are two reasons for this; the dimensions of the models (especially the Chronofighter Oversize series), and of course that unique chronograph pusher design which reminds of a grenade or an espresso machine lever. I have already mentioned the story of this "The story of the ''Bomb Timer''Chronograph Pusher Mechanism" in one of my previous articles. After all, I have tried Chronofighter Oversize model on my wrist several times and ended up feeling a bit uncomfortable. However, I could not resist myself buying a Swordfish PVD Limited Edition as I really liked the brand’s unique designs. Unfortunately I smashed my Swordfish to a door handle and chipped the black PVD coated bezel badly. After that, I traded that watch and never actually owned a Graham again. However, I always followed the brand and its novelties. Graham was one of our stops along many other brands during the Baselworld 2017. 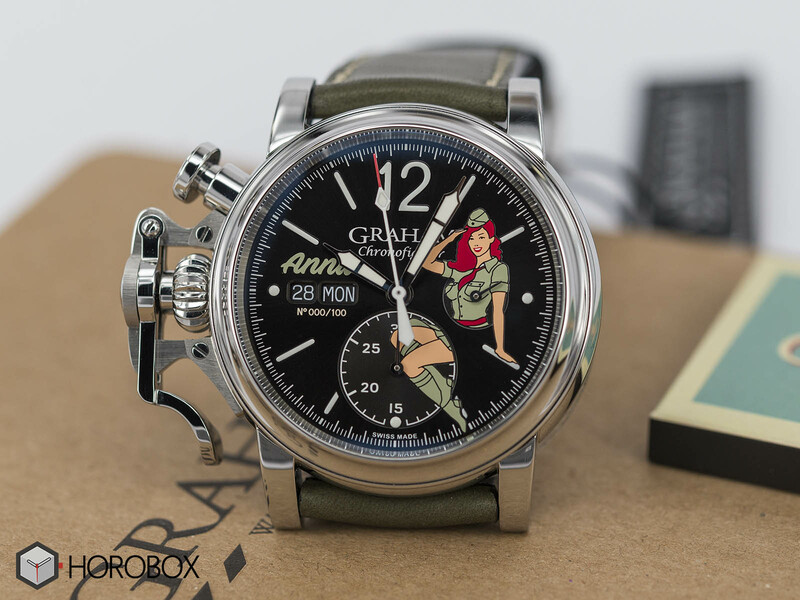 Chronofighter Vintage Nose Art Ltd Collection was the most memorable one for me among other novelties. Nose Art which gives its name (and its theme) to the collection is a sort of custom decoration which became quite popular with the combat aircrafts of the 1940s. In fact, Nose Art dates back to the 18th century, but its golden years were the WWII period. During those years, many aircrafts have been decorated on the nose parts with different hand painted figures –mostly Pin Up girls which have been another quite popular thing of that era. I bought myself an Avirex bomber jacket with a Nose Art illustration on its back thanks to my interest for WWII era accessories and fashion a little. I was very happy to see the same art on the dials of retro-spirited timepieces as the idea was truly original among many others that follow the never ending Heritage trend. There are four different models in the new collection. Technically, all models share the same specs except the Pin Up girls on the dials and the color themes. Graham actually named the girls as Anna, Lilly, Nina and Sally - such a brilliant detail to emphasize the retro spirit of the concept. 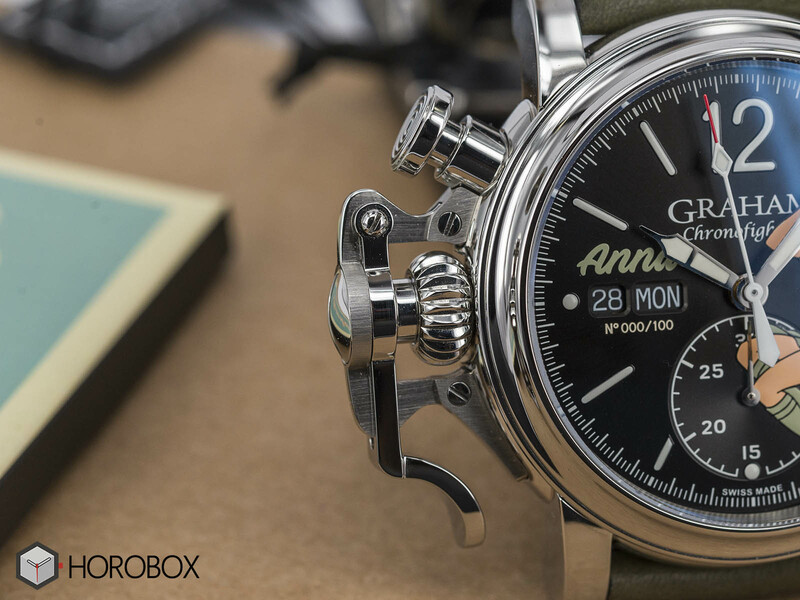 The illustrations on the dial are applied to the small seconds sub-dial and the 30 minute counter sub-dial. Let me remind you that the workmanship of the Pin Up girls is simply stunning. Among the four models, my favorite was Anna. I like the khaki green color theme which fits perfectly with the "military watch" concept. The dial is finished in black with Sun Brush surface that reflects the vintage mood of the model nicely while providing an excellent back ground to highlight the Pin Up figures. The 12 hour marker is designed in Arabic numeral while the others are either baton or dot markers. All hands and indices are filled with SuperLuminova phosphor material for optimum legibility at dark. The day/date feature is displayed in two separate windows with rounded angles. The day/date disks are finished with white font over black background configuration which preserves the color integrity of the dial. The production No. information is also present below those windows. The case of the model is designed in Classic Chronofighter style. Measuring 44mm in diameter, the stainless steel case sports an AR coated and domed sapphire crystal on the front and a sapphire crystal display caseback at the rear. 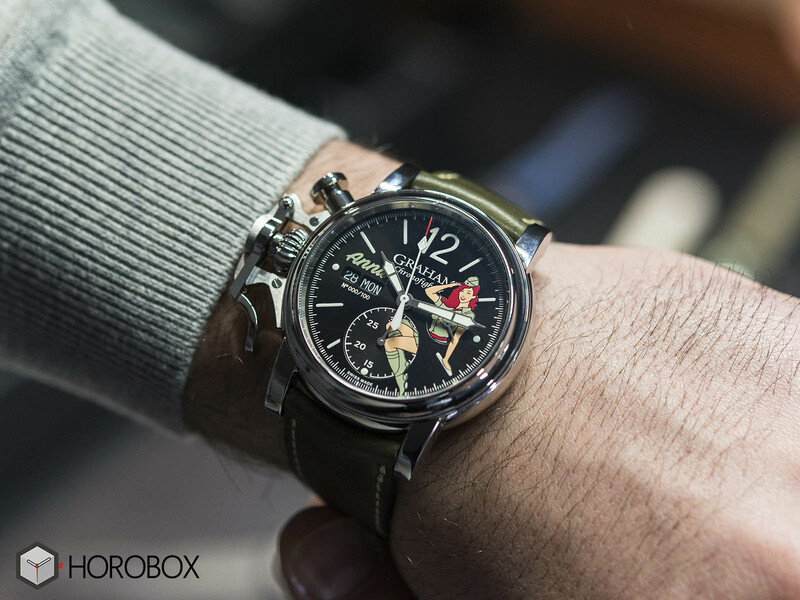 The famous trigger shaped chronograph pusher and winding crown are located at the left side of the case. The model is water resistant to 100 meters. The model is powered by the brand’s Caliber Ref. G1747. 25 jewels self-winding chronograph movement beats at 4Hz and offers 48 hours of power reserve when fully wound. The movement with Cotes de Genève decorated oscillating rotor is visible through the display caseback. All models in the collection are offered on soft calf leather straps which suit the concept nicely. 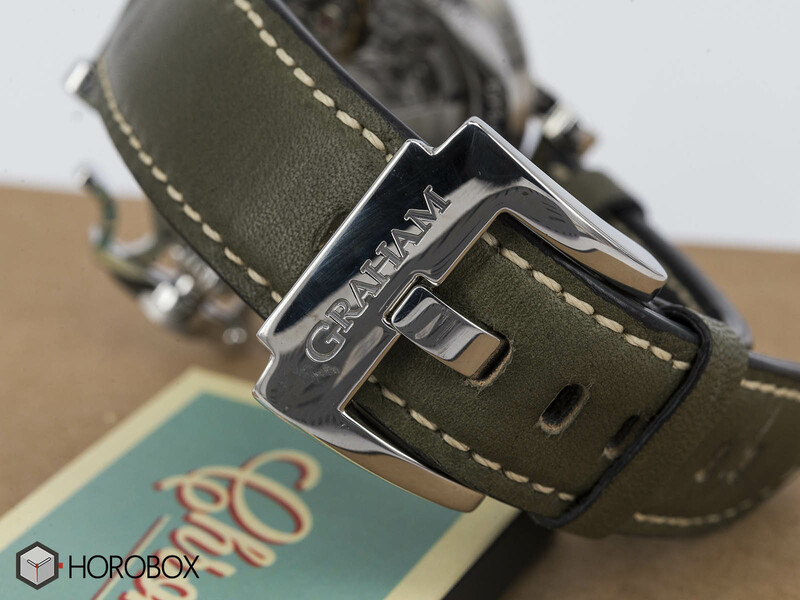 Available in black, khaki green and blue according to the version, straps are accompanied by a stainless steel buckle. The models are limited to 100 units per each.